The Terms and Conditions apply to the use of the tapsandsinksonline.co.uk website. By placing an order with us, you are agreeing to accept these terms and conditions (The Conditions). Please note, these terms and conditions can potentially change at any time, and it is up to you to check these terms and conditions regularly before ordering products in case there are any changes. If you do not agree with the terms and conditions set out below, you should not use or access these websites. If you have any queries relating to our terms and conditions, please contact the Customer Service team before placing an order. 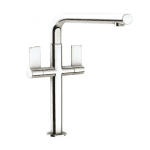 tapsandsinksonline.co.uk is the website of Taps and Sinks Online Limited, Mullinabro Business Centre, Mullinabro, Ferrybank, Waterford, Ireland. Registered VAT number is 9828452H. The following terms and conditions will apply between you and Taps and Sinks Online Limited, when you buy an item from tapsandsinksonline.co.uk. The terms do not affect your statutory rights. 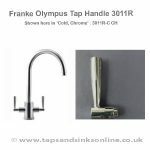 Your contract for purchases made through tapsandsinksonline.co.uk is with Taps and Sinks Online Limited and you undertake that all goods ordered by you are for domestic use only. You must be eighteen years old or older to use this site. If you do not qualify, please do not use this site. You warrant that all details you provide to tapsandsinksonline.co.uk for the purpose of ordering or purchasing goods are true, accurate, current and complete in all respects; and that the credit or debit card you are using is your own and that there are sufficient funds in your account to cover payment of the product(s) ordered. During the registration process, you must choose a username and password. You are responsible for all actions taken under that username and password and must only purchase from tapsandsinksonline.co.uk under your own username and password. You must make every effort to keep your password safe and should not disclose it to anyone. If you think someone else might know it, you must change it. You may not transfer or sell your username to anyone, nor permit, either directly or indirectly, anyone to use your username or password. If there are any changes to the details supplied by you it is your responsibility to inform Taps and Sinks Online Limited Ltd as soon as possible. It is a crime to use a false name or a known invalid credit card to order. Anyone caught deliberately entering an incorrect or fictitious order will be prosecuted to the fullest extent of the law. Taps and Sinks Online Limited tracks the electronic ‘fingerprints’ of every order placed on tapsandsinksonline.co.uk to enable us, and all legitimate crime prevention and prosecution authorities, to trace individual users engaging in criminal activities on or using our website. You fail to make payment to us when due. You breach any of our terms and conditions. When requested by us to do so, you fail to provide within a reasonable time frame, enough information to let us to check the accuracy and validity of any information supplied by you, or your identity. You agree that if you break these Conditions, or any liabilities are incurred arising out of your use of this website, you will be responsible for the costs and expenses that we or our officers, directors, employees, agents and suppliers incur as a result of the breach, including reasonable legal fees (if applicable). You will remain liable if someone else uses your shopping account and/or personal information unless you can prove that such use was fraudulent. When placing an order, you agree that any and all information given is accurate and complete. All orders are subject to acceptance and product availability. Availability information for products is listed on each individual product description. Whilst we endeavour at all times to have our stocks completely up to date on our website, in the unlikely, but not impossible, event that a stock item is shown on the website as being ‘in stock’ at time of order but is subsequently found to be out of stock at date of dispatch, we will immediately contact you by email to offer you the choice of waiting until the item is back in stock or alternatively, to offer you a full refund if you prefer. If an error is discovered in the price of the goods that you have ordered, we will inform you as soon as possible. We shall be under no obligation to fulfil an order for a product that was advertised at an incorrect price. In the event that you order an item and the price published on tapsandsinksonline.co.uk is incorrect for any reason, we will email you to inform you that we have not accepted your order, and that your order has been cancelled. You will be advised of the correct price of the subject product. You may re-order it if you wish. If you have already paid for the goods in the circumstances described in this clause, we shall refund the full amount within one week (at the latest) via the same way that the payment was made. Should you choose to re-order at the correct price, a separate invoice will be raised to you which you can then pay or you can choose to buy again via the website if the price has been amended to reflect the correct price? 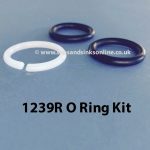 All prices listed on tapsandsinksonline.co.uk include sales tax. No contract for the sale of any product will exist between you and tapsandsinksonline.co.uk until we accept your order by dispatching the product to you. When this happens we will confirm the acceptance by sending you an email. If you wish to cancel at any time prior to the goods being dispatched, just email us and we will refund you in full (see our Cancellation Policy below for more information). The first email confirms that the order has been accepted. The second email confirms that the order has been dispatched and is also your invoice. Both of these emails will be sent to the email address given in your order form and will detail products ordered, payment method, cost (including VAT and P&P) and usual delivery times. You must check all the details on this confirmation email are correct and contact us as soon as possible if any details are incorrect. If your order has not been accepted, you will receive an email from us telling you the reasons why. Discount vouchers, codes and offers cannot be used on sale products. If you haven’t submitted an order, you may clear the items (or change the quantity) in your shopping basket at any time by clicking the ‘minus’ button next to the product you do not wish to purchase in your shopping basket and then ‘Update Cart’, or you can remove the product from the cart by using ‘x’ icon on the left of the product in your shopping cart. If you have placed an order but then wish to change or cancel it, please contact us as soon as you can, as orders move rapidly through to our warehouse. We will try our best to make any changes but we cannot guarantee that we will be able to do so as the order may already have been dispatched to you. In such cases, you may have to wait until you receive the order and then follow the normal Returns procedures. You will find more information about this in ”What is your returns policy if I don’t like the goods that I have received?” section for our policy on returns. Once we’ve heard from you that you wish to cancel an order, and the goods have NOT been dispatched, any sum debited to us from your credit or debit card will be re-credited to that credit or debit account within 7 days following your notification to us. For cancellations received after goods have been dispatched, you will have to return the goods at your own expense in order to obtain a refund. Please see ‘What is your returns policy if I don’t like the goods that I have received?” section for our policy on returns.You will be responsible for the Good(s) until they reach us. For your own protection, we suggest you use a secure delivery method which requires a signature upon delivery such as Registered Post (Recorded Delivery). See our Shipping/ Returns section here. I have placed an order on a non-working day. When will my goods be dispatched? tapsandsinksonline.co.uk will not pass on your personal, credit or debit card details to any third party. We will never ask for personal details via email. If you receive an unsolicited email asking you for your tapsandsinksonline.co.uk log in details, please contact our Customer Service team immediately. We do not accept liability (except as set out below) for any errors and/or omissions contained in our website and reserve the right to change information, prices, specifications and descriptions of listed goods, products and services at any time and without notice. If an error is discovered in the price of the goods that you have ordered, we will inform you as soon as possible. We shall be under no obligation to fulfil an order for a product that was advertised at an incorrect price. In the event that you order an item and the price published on tapsandsinksonline.co.uk is incorrect for any reason, we will email you to inform you that we have not accepted your order, and that your order has been cancelled. You will be advised of the correct price of the subject product. You may re-order it if you wish. If you have already paid for the goods in the circumstances described in this clause, we shall refund the full amount within one week (at the latest) via the same way that the payment was made. Should you choose to re-order at the correct price, a separate invoice will be raised to you which you can then pay or you can choose to buy again via the website if the price has been amended to reflect the correct price. 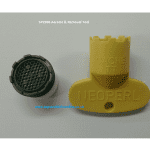 We have taken every measure to provide accurate product images for each product for sale on the site. However, due to a number of different factors such as Internet browsers, monitor colour contrasts etc, we cannot be held responsible or liable for any differences in colour between the image and the actual product. We have taken every measure to prevent Internet fraud and ensure any data collected from you is stored as securely and safely as possible. However, we cannot be held liable in the extremely unlikely event of a breach in our secure computer servers. 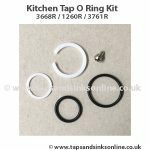 Until you receive written/email confirmation of each item dispatched, we have not accepted your offer and no binding contract of sale for that item will exist between you and Taps and Sinks Online Limited.